When India first circulated an unofficial draft of its proposals for the treaty in September 2012, it looked like India too was in favour of an expansion. Civil society and industry in India were alarmed that the government seemed to plan to support the inclusion in the treaty of ICTs, the Internet’s naming and numbering system and security issues at various levels of the network—each of which could have a dramatic impact on the way Internet functions. But a subsequent close engagement on their part with the government seems to have borne fruit. The positions that were put forward in Dubai by the Government of India in the end were far more nuanced, effectively taking into account many of the concerns that civil society and industry had put on the table. Sticking points definitely remain. For example, though the government agreed in most cases to restrict the application of provisions regarding security to the physical layer of the Internet, it nevertheless continued to espouse inclusion of provisions regarding spam in the treaty—a move that effectively expands the scope of the treaty to the content layer. Yet many positives can be counted as well. For example, the government also clarified that it sought the inclusion of ICTs in ITRs only to the extent that they relate to the physical layer of the network; other aspects of ICTs, including content, would remain out of the treaty’s purview. Similarly, reflecting another important recommendation, India expressed its support for inclusion in the treaty of language which calls on States to uphold their human rights obligations while implementing ITRs. Both positions are important gains from the perspective of users’ rights and are reflected in the final version of ITRs. Nuance also marks India’s position on the treaty as a whole. While the country put on record its satisfaction with the text of the treaty and four of the resolutions passed in Dubai, it also expressed its reservations concerning a fifth resolution, which addresses Internet governance in particular. It noted it would hold further consultations with stakeholders within the country to understand the potential impact of this resolution on the Internet before committing to sign the treaty. The Internet Resolution is indeed problematic, particularly for two reasons. First, it emphasises the role of governments without giving equal recognition to the role of other stakeholders, as has become the tradition in Internet policy making. This is particularly disconcerting as ITU is in any case one of the UN bodies most difficult to access for civil society. Secondly, the resolution was pushed through in a backdoor manner, with the chairperson calling for a show of hands to supposedly “feel the temperature of the room” and then effectively treating that show of hands as a vote. These two elements makes it difficult not to be deeply suspicious of the intentions behind the resolution, even if it is non-binding. In some ways, the thrust of the resolution in itself should not come as a surprise. For years now, developing countries have been asking the global community to make good on promises of enhanced cooperation on Internet policy—promises that were first documented in the Tunis Agenda of 2005. India has often played a leading role in such developments. Though its proposal for a UN Committee on Internet Related Proposals might have been misguided, India has made some other, outstanding recommendations to promote enhanced cooperation. It is precisely because of its leadership role on these issues that India’s reluctance to sign ITRs sends such an important signal to the world community. If India does sign the treaty, the immediate impact on the Internet within the country will likely be small since, to the extent that they affect the Internet, most provisions now integrated in ITRs are already part of local laws and regulations. But as an irrevocably transglobal network, the Indian Internet cannot be seen in isolation, and the Indian government has clearly understood this fact. By not accepting unconditionally the Internet Resolution—which is unbalanced even if perhaps not an immediate threat—India has made it clear that it is ready to push back against any unwise or inconsiderate proposal for global Internet regulation: the terms of the proposal matter. Moreover, by expressly stating the need to seek the inputs of all stakeholders concerned before making a decision, India has also advocated for a clear commitment to multistakeholderism at all levels of decision-making, exactly as the Tunis Agenda prescribes. It is in a widespread and continuous commitment to these very stances by governments that hope for the survival of the free and open Internet, in India as elsewhere, in fact lies. At the WCIT meeting, India has set a heartening example. When most people think or speak about internet freedom, they are often concerned with the right, for example, to say what you want online without censorship and without being subject to the chilling effects of surveillance. Some constitutions – notably the US Constitution – only protect negative rights. But South Africa’s includes both negative and positive rights. Positive rights include, for example, the socio-economic rights to food and shelter. In its Internet Freedom Index Freedom House ranks South Africa as “free” alongside the UK, Argentina and Kenya. The ranking is largely because Freedom House weighs negative freedoms above positive ones. But how “free” is the internet in South Africa? For most, it is positive internet freedoms that may be more urgent. The South African Constitution in the Bill of Rights does not explicitly protect internet freedom but section 16(1) states that everyone has the right to “freedom to receive or impart information or ideas”. This is a right for everyone and it is not just a freedom from interference – a “freedom from” – but also a “freedom to”: a right to be able to reach others and be reached by others. In this it follows Article 19 of the Universal Declaration of Human Rights. The South African Broadcasting Corporation has announced that it will no longer advertise its jobs in newspapers, directing job seekers to its own website. Indications from government are that we are likely to see more such initiatives. The result will be that South Africans' ability to lead the kind of lives they value will become increasingly dependent on the physical, procedural, economic and social networks that we call “the internet”. According to the survey, nine out of ten South Africans now use a mobile phone but only half of those now have access to smartphones. The most popular phone brand in South Africa is still Nokia. Most of the models in use have limited or no ability to connect to the net. 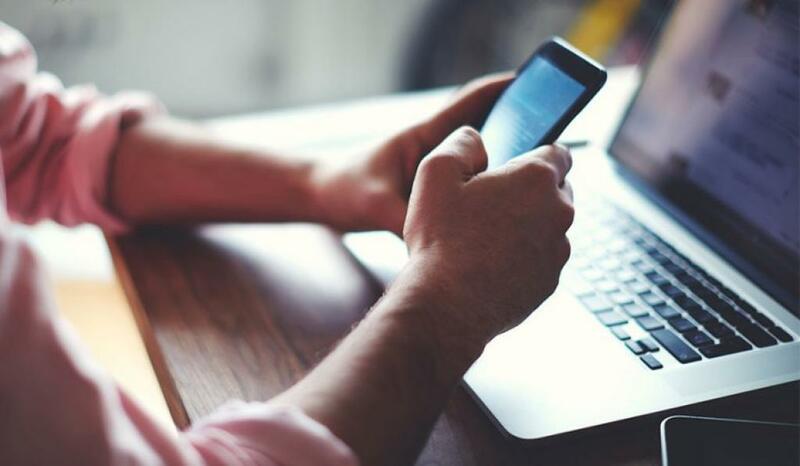 And because only the better off have access to fixed lines at home or at work, the majority of South Africans, when they do get online, are dependent on mobile networks. The International Telecommunications Union and the UN’s Educational, Scientific and Cultural Organisation have set a goal for affordable broadband internet access. It is that entry level broadband should not cost more than 5% of average monthly income. Because of a flawed methodology they state in a 2015 annual report that South Africa falls well within that target. 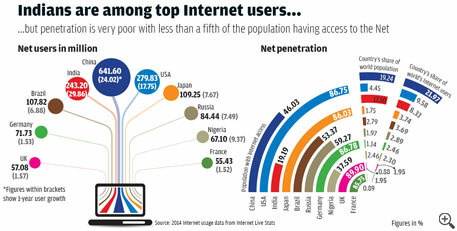 But digging into the figures shows how unaffordable the internet is for most South Africans. Statistics SA sets an upper bound poverty line of R779 per month per person (in 2011 prices). Most – about 53% – of the South African population live on income below this, according to the last census. So this poverty line is more or less the average income in the country. The poverty line adjusted for inflation to 2016 would be R1 031. And is 500MB per month enough? 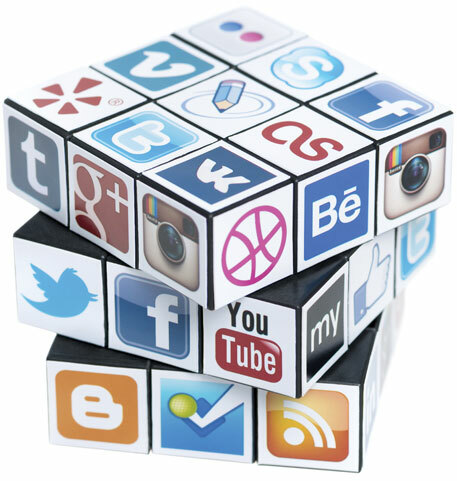 It is enough for a lot of instant messaging, or say about half an hour a day of browsing the web or using Facebook. But it is not enough to participate in otherwise free online courses such as Kahn Academy that often rely heavily on video. This is affecting usage. The most popular online activity is instant messaging using applications like whatsapp. But only one in five people download music online. It is also worth noting that the poor in South Africa pay much more for data than the better-off. If you have a fixed line in your home you can buy pre-paid data bundles for R7 per GB or even less, a small fraction of what mobile network users pay. We could go further and ask if the internet could and should not only be cheaper but free? In some places and for some people it already is. That includes university students thanks to a network for tertiary institutions funded by the government. It also includes many residents in the metropole of Tshwane – including townships – where there are over 600 wifi hotspots offering 500MB of data per day at fast speeds for free. For many or most South Africans whether or not the Films and Publications Board interferes with their right to view video material online does not affect ‘their capability to lead the lives they value’ because they cannot afford to access video or audio content online. At present, defending ‘negative’ internet rights is protecting the rights of the few. We need to move to demanding the ‘positive right’ of affordable access if we want internet freedom for all. What was the net neutrality debate all about? Over one million. That’s how many Indians rose to defend a rather abstruse concept—of Net neutrality—in 12 days flat. Perhaps, there were not really a million Indians who could actually be counted individually but there were that many mails that poured in to say that the Internet as we know it now should not be meddled with. Net neutrality, they said, was fundamental to how the Internet operated. In the simplest terms it means that all traffic on the Internet must be treated equally by Internet service providers without any discrimination on speed or content (see ‘Net neutrality principles’). That is how it has been since the start of the Internet in the country and that is how it ought to remain. So, when the Telecom Regulatory Authority of India, or TRAI, suggested that things ought to change because the revenues of telecom companies (telcos) were being hurt by Internet application companies such as Skype and Facebook and that these should also be regulated to ensure a level playing field, all hell broke loose. That’s when a million and more outraged Internet users—from individuals to Internet companies to small innovators—sent outraged responses to TRAI. That is a staggering number in a country where campaigns for worthy causes such as endangered farmers or access to life-saving medicines pull in no more than a few hundred champions, and that after passionate appeals and much prodding by activists. On the other hand, the Net neutrality issue, however little people may have understood what it actually entails, resulted in a virtual tsunami. The giant wave of protest that hit the country in April swept up net geeks, journalists, writers, politicians, academics, celebrities, comedians and just about anyone with a link to the Internet on a common platform of resistance. The frenzied debate engulfed virtually every platform—websites, blogs, social media outlets, the good old print medium, TV channels—and in a first-of-its-kind campaign put the regulator and government on notice. For TRAI, the response—backlash would, perhaps, be more appropriate—to its Consultation Paper on Regulatory Framework for Over-the-Top (OTT) Services that it released on March 27 must have been astounding. In spite of a convoluted, difficult-to-decipher consultation paper that ran into 118 pages, TRAI was inundated with replies that delivered a clear message: Netizens were ready to defend digital freedom to the last, with all the cyber tools at their command. But the contested consultation paper did not come out of the blue. Soon after the Narendra Modi government came to power in May 2014, the telcos led by their lobby group, the Cellular Operators Association of India, has been pushing aggressively for regulation of OTT services. TRAI has not put much of a fight. In August last year it held a seminar on the subject, where the companies openly sought government backing for their plan. In fact, the TRAI paper has been described as “a shoddy piece of work that appears to be a cut and paste of the private notes submitted by telcos,” according to an analyst. What is pushing telcos to seek regulation of OTTs? The most obvious answer is that telcos have till now been banking on selling voice minutes, while their back-end operations relied on using voice over Internet protocol (or VOIP) to connect with other telcos and deliver call services. This enabled them to make handsome profits since VOIP costs only a fraction of traditional voice calls. But with OTTs such as Skype, WhatsApp and Google Hangouts providing the same voice calls at low rates directly on handsets, their profit margins have been whittled down. Telecom companies, on the other hand, are looking at newer ways to maintain their revenues, mostly by aligning with the enemy. And yet, beyond these commercial concerns is a larger theme that drives the Net neutrality debate. This could be seen as the struggle to preserve the egalitarian nature of the Internet. Unlike in the real world, where democratic ideals have been throttled by a host of factors, the Internet promises a realm of infinite possibilities. An open Net, at least theoretically, gives everyone an equal chance—to study, to grow, to work, to do business, or launch social movements, may be even a revolution at little or no cost—and with fewer hindrances. It is this promise that Internet activists want to preserve at all costs. His steadfast support culminated in a strong public movement in support of Net neutrality. By September 2014, nearly four million Americans had filed public comments on Net neutrality—more than on any other issue the Federal Communications Commission (FCC) had handled. In November, Obama called on the regulator to institute the strongest possible rules to protect Net neutrality. And on February 26 this year, the FCC voted to keep the Internet open and free. For Parminder Jeet Singh, executive director of non-profit IT for Change, one of the fallacies in the Net neutrality debate is to view the Internet as a product of the market. “It is something bigger of which the market is just a part. Most people don’t go beyond the free-market principle (competition, zero-rating, etc) when discussing Net neutrality. I see this as a principle of equality of opportunity, a larger social choice issue. Like common schooling. We need to be committed to this ideal more than the economic efficiency idea.” IT for Change is an India-based NGO working on information society theory and practice from the standpoint of equity, social justice and gender equality. (see ‘Beware of the banner under which you fight’). Oddly enough, the main issue that TRAI raised upfront was not directly about Net neutrality. In classic bureaucratese, the regulator proposed 20 questions on two basic issues: should there be licensing of Internet services, and should there be non-discrimination of Internet access via telecom operators? As Pranesh Prakash, policy director of the Bengaluru-based Centre for Internet and Society, noted wryly in a recent interview, the TRAI paper rather than asking about Net neutrality was instead “asking the question whether we need to regulate the Internet even more, whether we need to regulate OTT players”. In effect, what TRAI appears to be saying is that Indians must accept licensing of Internet services or compromise on Net neutrality, which means that any business that uses the Internet could be regulated by TRAI as an OTT service. This would result in regulatory overreach on a grand scale, warns Prabir Purkayastha, an engineer and activist who is chairperson of Knowledge Commons, a society of scientists, researchers and activists that works to popularise the practice of free and open source software. It is voice that is at the centre of the dispute. Invariably, telcos cite the case of Skype to impress upon the regulator how much business they are losing. What they do is to calculate losses by converting Skype call time to equivalent voice call value, which is a fallacious argument since it cannot be claimed that all users of Skype would actually make voice calls if that service were not available. But TRAI has accepted this argument, at least partially, by calling Skype voice calls “revenue foregone”. It states in the consultation paper: “This phenomenon, namely, the growth of OTT apps providing voice services has started to impact revenues of TSPs (telecom service providers) from voice services, which constitutes a major portion of their revenues.” There is, however, no data to back this claim. The other case of “lost revenues” that is often made is to compare SMSs on voice networks to equivalent services such as WhatsApp. Purkayastha points out that this is not quite correct. Mobile services were originally designated as value-added services, while voice on landline was considered a basic service. When mobile services were merged into basic services, SMS also came in. The reality is that telecom companies offer SMS, essentially a data service, at a very high price. This penalises the lower-end users, who use 2G services; not high-end users who have migrated to voice and data services and can use applications such as WhatsApp. He says the debate does not take into account what is specific to India: the spectrum fee of Rs 1 lakh crore which is not charged anywhere else in the world along with a host of compliance issues. “We are not treating like as like. That’s the crux of the issue.” His argument does not have too many takers in the overheated debate on Net neutrality. Lawyer Rishab Bailey, legal consultant to Knowledge Commons, points out that India does not have complete voice penetration as of now. Even as telcos claim they are losing traffic to OTTs they are still increasing the total subscriber base and therefore making more money. Bailey’s research reveals that the industry is in good health. The industry’s revenue grew 10.1 per cent in financial year 2014, compared with an 8.6 per cent growth in the previous year. While Bharti recorded a 50 basis points year-on-year growth and Vodafone India a 40 basis points growth, Idea Cellular topped the charts with a 90 basis points rise. Almost everyone with a social media or political profile has weighed in on the debate with Net neutrality getting a resounding endorsement. In Parliament, questions were raised on the government intentions, forcing Telecom Minister Ravi Shankar Prasad to make it clear that it stands for “non-discriminatory access to Internet for all citizens of the country”. In an interview to Economic Times, Prasad went so far as to indicate that the implementation of Net neutrality could be made part of the licence conditions. He even suggested that while the government was open to TRAI’S recommendations it would not allow any policy decision that would throttle Net neutrality. But the triumph of Net neutrality in India will be sealed only if it comes with the assurance of access to the hundred millions who are denied. The debate ought to move to how this can be done and at what cost. As one commentator points out, “Net neutrality is sound commonsense. It should be based on capacity and context.